How do you assess whether your informal learning, social learning, continuous learning and performance support initiatives have the desired impact or if they achieve the desired results? All these terms have one common denominator; they all are non-formal learning activities and processes. And managers (being one myself for more than a decade) tend to get nervous by these kind of activities. You told that you have to do these kind of things, but the point is that you have to invest time and money into them to make it work. But at the end of the day you don’t have a clue if whether it was worth it. So where is your production improvement and your return on investment. How do you measure it? So this is an excellent question. With formal learning (classroom and LMS based e-Learning) you usually get an assessment in the end, if you score enough points you get your certificate. You can ask yourself if this is a result that counts; does it affect the workplace in a positive way? It only will be if it has an effect on the learners working skills, making them more effective and productive. 40 employees with a certificate do not guarantee that. So in fact you can ask the same question for formal learning activities. The point is that we got used to this form of learning and measuring. The output of learning is not what you have learned, but how you can apply it in your everyday work. Therefore if we want to measure the impact of learning (formal or informal) we need to measure that impact. Recently I wrote a blog about ‘output learning‘, based on a management theory called ‘output management’. In a nutshell it works like this. You encounter a problem in the workspace , then you set your learning objectives (that lead to tackling the negative effect of the problem), determine the requirements that set the boundaries for that solution and then the worker/learner is free to solve his problem anyway he wants, as long as he stays within the boundaries set by the requirements. This concept is more for formal learning activities and here is more to the concept, but we can get two things from it that are relevant to the question. 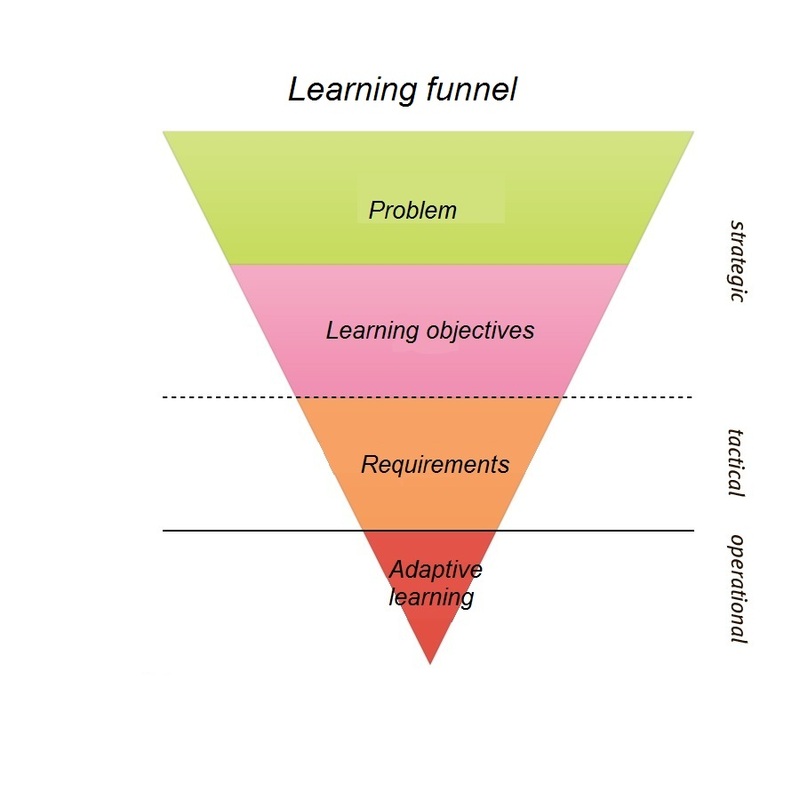 If you are able as a manager to apply this model to informal learning you will get more grip on the informal learning processes, while letting the worker free in choosing his own way to the solution of the problem. You could create a list with a certain types of problems that workers can solve with informal learning, or you can set how much time they are allowed to spent. By outlining these requirements like these beforehand you prevent problems and you give your workers clarity on your expectations. The other thing is that the output of learning is not the learning on itself but the effect it has on the workplace (you want to improve efficiency and productivity). So, did the learning activity solve the problem within the given requirements? Log. A solution would be having your worker keeping a log, with problem, activities, time spent and the outcome. It would be a great source of information but is not likely that it will be successful; it is to much work. But if someone was active in an informal learning environment you could present him with one or two questions in the end, actively gathering information and feed back from the worker. Survey is an other way of gathering information and feed back from your workers, you should do this probably once every quarter. Measure the use of content and the activity in networks. You can measure the activity in all kind of networks and environments. There are all kinds of tools available like Google analytics that can give you a great insight in which content is used, how often it is used and who uses it. Especially in combination with a survey and an analysis of user generated content this will provide you a with a lot of useful information on the informal learning activities. 1. Make it a rule that whenever someone can improve information he has to leave a comment. 2. Give him the possibility to like or dislike certain information or can indicate if the information was useful. 3. If someone has new information (a new FAQ item or best practice) he has to add that to the system. You will have to moderate this, but it will give you information on what works and what doesn’t work and you will capture the knowledge of your workers and give it back to them. Next Linkedin Inmaps, where are the Outmaps?